Jason finds Spinelli at the PI offices and wonders why he checked himself out of the hospital so soon. Spinelli’s interested in Maxie and feels he has unfinished business with her. Jason points out that Maxie is with Matt. Jason just wants Spinelli to take the time to heal, because he’s concerned for him. Spinelli reads a newspaper article about the Corinthos/Zacchara war and spouts off about being between the two opposite sides of the law. Nevertheless, he vows that if Sonny crosses his path, he’ll be hot on Sonny’s heels. Jason seems disturbed by Spin&apos;s comment... or constipated. Sometimes, I can’t tell the difference. Robin and Patrick clear Matt of wrongdoing in Siobhan’s surgery and look to the rest of the OR team, including Elizabeth. Patrick insists that it can’t be anything Liz did, since he’s sure she was ready to get back to work. Nikolas tells Aiden that he’ll always love him and hands him over to Lucky. Liz takes Aiden upstairs, leaving the brothers to talk. Lucky apologizes for everything and says he’s grateful. Nikolas still thinks he’s the father, because Liz hasn’t been forthright with her paternities. Nonetheless, he has agreed to bow out, even though his instincts were to take Aiden and run. Lucky asks what made him change his mind. Nik replies by explaining his visit to Emily&apos;s grave. He didn’t want to restart the Cassadine/Spencer war, because it would have cost him his brother. In the end, it wasn’t worth it. Nikolas explains that he thought he would fail Spencer, so he pawned him off on the help, but he tried to be a real father to Aiden. He tells Lucky and Liz that he’s leaving, likely for good. Liz wants him to stay and be a part of Aiden’s life, but Nik feels Emily’s death had a profound effect on him. He tried to find a substitute, but ended up hurting both of them. Nik feels it will be a reminder of what he can never have again, and feels leaving on his plane is the best bet for him. Liz gets called to the hospital, so she hugs him goodbye. Brenda feels Jax is worried about Josslyn, but Sonny informs her that he only sees Carly and never Josslyn. Brenda explodes saying Sonny visits Carly everyday and that poses a problem for her. Sonny realizes the subpoena is for her and that she knew about it. 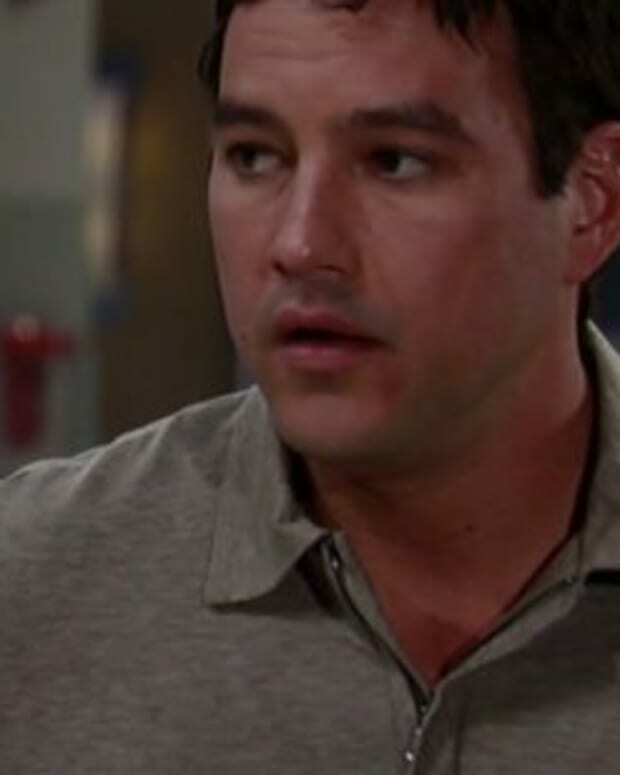 Sonny’s mad that Jax is putting Brenda in the middle of his fight, but he figures Brenda will testify that Sonny is not a threat and Carly is a good mother. Brenda says she won’t praise Carly&apos;s mothering skills, because she believes Carly has done a poor job in that department. She feels Carly uses the men in her life, and wonders why Sonny puts up with it. Sonny begins to defend Carly, which angers Brenda even more. Brenda claims she tried to be kind to Carly when she got back to town, but still feels she isn’t a good mother. Sonny points out that Carly sat by Michael’s bedside until he woke up, because she loves her kids. He believes Jax has no right to take Josslyn away. Brenda says Jax has the right to fight for his child’s safety. Sonny feels Brenda’s testimony will sway the judge. Brenda reminds him that he promised to keep her and Alec safe, and that’s what she’ll say on the stand. Sonny says Jax is trying to take Josslyn away, but Brenda corrects him by stating Jax just wants the child living with him. Sonny tells Brenda to stop defending Jax, and she tells him to do the same with Carly. Brenda asks Sonny what her next move should be, since she was the one who was served a subpoena. She tells Sonny to support her NOW, instead of Carly. He needs to make a choice, plain and simple. Maxie finds Spinelli at the PI offices and is angry that he discharged himself. Spin kisses her, but she tells him to stop hitting on her. She says she has an Internet problem and needs his cyber skills, but Spin says he can’t help her. Sonny tells Jason that Jax went too far in sending the subpoena for Brenda, because now he’s playing on Brenda’s fears. Jason points out that Sonny is doing everything possible to keep Brenda safe, and Jax has his own security team. Sonny feels Jax’s marriage blew up and he won’t be satisfied until Sonny’s does as well. Jason knows they can’t stop Brenda from testifying, but Sonny feels they can shut Jax down. Jason warns him that doing something to Jax will make a bigger issue with Brenda. The Drake&apos;s tell Matt that he has been cleared of any mistakes and believe someone administered the wrong meds. Patrick and Matt leave to discuss the happening of that particular OR. Liz shows up and lets Robin know that Nik isn’t contesting the custody, because he’s leaving. Robin explains the investigation of Siobhan&apos;s surgery and warns Liz that everyone is under scrutiny. Later, Matt approaches Liz, who&apos;s checking the records and she assures him he did nothing wrong. He updates her that he’s already been cleared, but that someone administered the wrong medication and she&apos;s the guilty party. Lucky says he’s not going to say goodbye and wonders why Nik is leaving. Nik questions why he’d want him to stay, considering everything Nik has done to him. Lucky feels he’s not only losing a brother, but a true friend. He knows that the affair wouldn’t have happened, if everything had been fine with Liz. Lucky absolves Nik of being the villain. Nik says he thought he loved Liz, and had this grand vision in his head of the white picket fence, until he realized that wasn’t his dream. Liz was only a substitute for who he’ll never have again. Nikolas asks Lucky to think about something. When he’s on his deathbed, will he remember the cases he’s closed or the vacations he’s been on or will he be thinking of the one person whose hand he wants to hold? They hug, and Lucky tells Nik he will miss him. They joke about why Nikolas never had an accent, and Nik leaves. Maxie goes to Jason to inform him that Spin has left the hospital. She gets annoyed that Jason knew and didn’t drag him back. Maxie says Matt thinks Spin’s new identity is his way of coping with almost dying, but she’s worried that he’ll get in over his head. She wants Jason to manufacture cases to keep Spin occupied. Sonny calls Spinelli to come over to discuss the missing money. When Spin shows up, he’s in full Jackal PI mode, which annoys Sonny. He warns him that he’s not in the mood for jokes and that the money needs to be found or it’s going to cost him. Nikolas and Spencer get on their plane. Helena shows up to watch them take off. When Lucky returns to the house with groceries, he finds Helena playing with Aiden on Liz’s couch.